Looking at that I hope they do not give out doggie bags. And I have not got a dog!! Been there, done that. Will never be back. On par with the hot dog guys in front of a Home depot. Dont waste your time. I love Stanley's, but not their hot links. I've had their ribs, brisket, pulled pork, sausage, and turkey breast -- all very good. Their hot link -- not so much. Okie Sawbones wrote: I love Stanley's, but not their hot links. I've had their ribs, brisket, pulled pork, sausage, and turkey breast -- all very good. Their hot link -- not so much. We really had high hopes from what we had heard from the locals but it just wasn't there on the day we went. Could have just been a bad day but the best thing we had was the giant chocolate chip cookie that they outsource. My Mom has since passed and that was the reason we were in Tyler so I won't be going back. Looking at that I hope they do not give out doggie bags. :upside: And I have not got a dog!! A 5 year old thread, memories don't fade huh? Lol. But seriously that looked disgusting. Thanks for the tip, it's embedded in my brain. It’s been a year or two since I’ve been, but they’ve been consistently great every time. 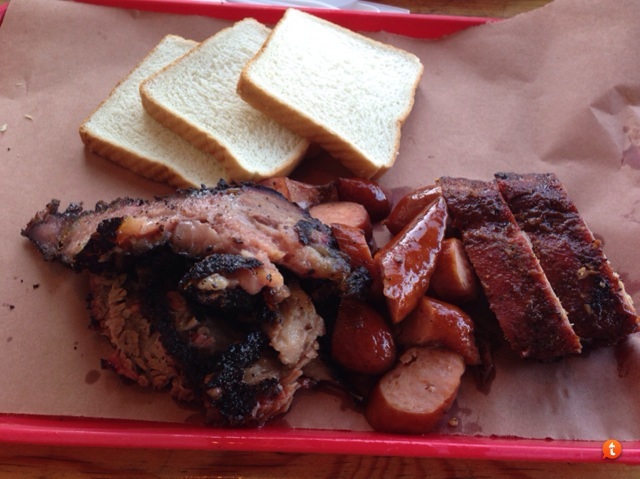 I’m not a huge rib guy, but the brisket is always fantastic, as are the sandwiches.